The movie "The Green Hornet" is coming out on DVD this Tuesday, May 3, 2011. Before you buy, read the movie review on FREEISMYLIFE. Car and Driver indulges your need for speed. See the hottest cars and trucks before they hit the market. Become an expert on what to buy and why. And increase your own driving pleasure with information you care about -- like the latest technology, racing news, popular personalities and hot products. Plus, Car and Driver brings you road tests, ratings, previews of new models and so much more. What does Momma need this Mother's Day? Some Yummy Cupcakes from "Just Baked"! It was back in July of 2010 when I first found out about Pam Turkin and her wonderful bakeries called "Just Baked". I have experienced Pam's cupcakes in all kind of flavors for myself and they are wonderful. Since then, I have talked about how these wonderful cupcakes are perfect for any holiday including Thanksgiving and Valentine's Day. Well, with Mother's Day being right around the corner, how about getting something so yummy, so decadent, so lip-smacking good that the special woman in your life will be totally happy with your gift? Well, all you have to do is head to your nearest "Just Baked" Bakery and pick up a dozen of the best cupcakes in metro Detroit. And with locations in Royal Oak, Brighton, Novi, Livonia, Ann Arbor and Canton, there is a "Just Baked" not far from wherever you live. Just Baked Gourmet Cupcakes are $2.95 each / 2 for $5.50 / 6 for $12.50 / 12 for $24.00. Click here to see the complete menu. Believe me - your mom will be pleased! One FREEISMYLIFE reader will win one dozen YUMMY "Just Baked" cupcakes courtesy of owner Pam Turkin. HOLLA to the FREE! - The contest ends on Thursday, May 5, 2011 at 11:59am EST. -Giveaway fulfillment will be provided by Just Baked. - The winner can pick up the Just Baked Cupcakes at any of the Just Baked shops in Royal Oak, Brighton, Novi, Livonia, Ann Arbor or Canton. You must live within driving distance of a "Just Baked" bakery in order to win this giveaway. - You can get 1 extra contest entry for following Just Baked on Facebook. - You can get 1 extra contest entry for tweeting the following message on Twitter "I entered the @freeismylife giveaway to win a 1 dozen cupcakes for Mother's Day from @JustBaked http://t.co/cVmZ6kM "
And if you are looking for ways to pay for you iPad at the Apple Store, you can earn Apple Gift Cards with the Apple Recycling Program. Shortly before graduating from high school in 2005, I went to my prom, even though I didn't have a date. I went with a group of friends, and we rented a limo (which actually turned out to be a party bus) which took us to the Roostertail in Detroit, where prom was being held. The prom itself wasn't that great; what I remember most from the night was hanging out with my friends afterwards and driving home wearing flip flops at 3 AM. The kids in Prom, however, are determined to make this night the most magical of their entire high school careers, and although the movie is very "Disney" (cutesy, no bad language, etc. ), it does have some "magical" moments. Friday is the last day to enter my giveaway to win 18 long stem pink roses from California Blooms. Now you know that mom or that special lady would love to get these flowers for Mother's Day - and you would love to give them to her for FREE! On Friday, the movie "Prom" will open in Detroit, but is it really worth your hard earned money? Make sure you read the movie review by our guest movie critique Liz Parker before you get your tickets. On Friday, the Cotswold Café at Edsel & Eleanor Ford House in Grosse Pointe Shores reopens for business with a great dinner deal. Two guests can get a bottle of wine and two three course dinners for only $50 total. Yummy! On Saturday, go down to Ford Field for the FREE Skillman Foundation "Kids Matter Here" Summit II where there will be FREE food, carnival games, rides, music and giveaways. There is also FREE parking and childcare. Sunday is the last day to enter to win breakfast in bed for you mom served by Matt Prentice, owner of Coach Insignia and the Novi Chophouse. What a great Mother's Day present that would be! Don't let Sunday pass without entering my giveaway to win a 5 pack of Hallmark Mother's Day cards with a twist - the cards come with the postage already paid! A 5 pack of FREE Hallmark Postage Paid Cards should be a real dent in your Mother's Day card giving. 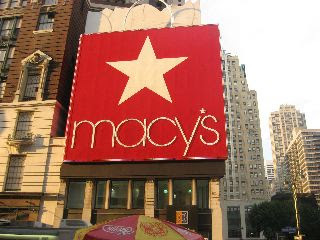 Use this weekend to start your Mother's Day shopping with this 25% off Friends and Family Pass from Macys that can be used on brands that are usually excluded - like Coach (as in handbags). Yes, Mom can get a fabulous handbag for Mother's Day and you don't have to pay full price. SWEET! Want to get a little extra something for Mom's Mother's Day gift bag? Then stop by Victoria's Secret to get a FREE sample of Heavenly perfume with this coupon. The .05 ounce sample comes attached to golden wings so it is very cute - and very FREE! FREE Skillman Foundation family-friendly event will include food, carnival games, rides, music and giveaways. The Skillman Foundation will announce details of a major new initiative to recognize and reward 50 promising Detroit youth -- and assist them with college tuition -- at the Foundation's Kids Matter Here Summit II at Ford Field on Saturday from 10am to 4pm. "We're celebrating 50 years of being a voice for Detroit children," said Skillman Foundation President & CEO Carol Goss. "We wanted to do something significant for 50 of the area's most promising high school students, and help them with the costs of attending college. We're excited to announce the program Saturday." The 50th-anniversary-themed event will honor the legacy of founder Rose Skillman, who created the Foundation in December 1960 in response to her concerns about vulnerable children. Brooklyn, New York-born actor and martial artist Michael Jai White ("Tyson," "Spawn," "City of Industry," "Why Did I Get Married?") will serve as keynote speaker. The summit will include updates on the Foundation's Good Neighborhoods program, and will feature reports from each of the Foundation's six targeted neighborhoods: Brightmoor, Chadsey Condon, Cody Rouge, Northend Central Woodward, Osborn and Southwest Detroit. The Good Schools program will also be featured, and will include a celebration of the 245 schools involved in the Foundation's Making the Grade Initiative. The family-friendly event will include food, carnival games, rides, music and giveaways. A resources fair will provide families with information on excellent schools and preparing children for college, health care and mortgage foreclosure prevention. Participants will also have access to free parking and free childcare. Admission is free. 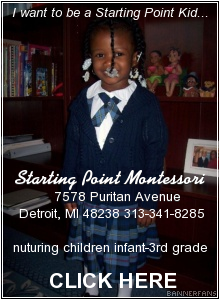 Contact The Skillman Foundation at 313.393.1185 or www.skillman.org for more information. CLICK HERE TO SEE A VIDEO ABOUT THIS FREE EVENT! Step into spring in a tasty way with a visit to the Cotswold Café at Edsel & Eleanor Ford House (Ford House). Beginning tomorrow, April 29, the Cotswold Café reopens for dinner with a variety of mouthwatering dishes added to the menu, in addition to Café favorites. The Café’s new menu offers a wide-range of internationally-inspired cuisine, including Acapulco Shrimp Salad, Pizza Margherita and Chicken Wellington. However, frequent diners can be assured that long-time favorites like the Classic Maurice Salad and Quiche du Jour are staying put. Guests can also expect to see a few new beers and wines on the menu as well, including Lagunitas IPA and Sebastiani pinot noir. Another special surprise this season: Dinner for Two. 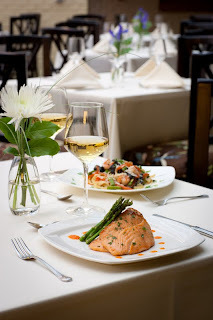 For only $50, two guests can enjoy one bottle of wine and two three course meals chosen from a select menu. To add some variety, the Dinner for Two menu will change weekly. A visit to the Cotswold Café is a highlight of the Ford House experience. The Café embodies an ambience inside and out that was inspired by Eleanor Ford’s love of England and cottage-style gardens. Weather permitting, there is seating outside on the Café terrace. 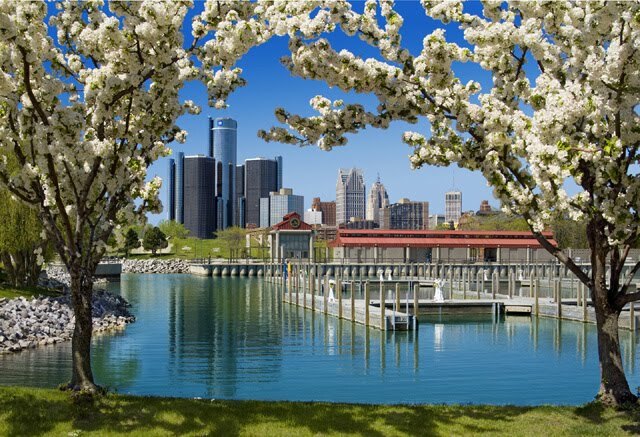 Diners in the Café are invited to stroll the lakefront grounds free of charge following their meal. Edsel & Eleanor Ford House has resumed regular season hours Tuesday – Saturday from 10 a.m. to 4 p.m. and Sunday from noon – 4 p.m. The grounds are open Tuesday - Saturday 9:30 a.m. – 6 p.m. and Sunday 11:30 a.m. – 4 p.m. The Cotswold Café is open Tuesday – Sunday from 11:30 a.m. – 2:30 p.m. and starting April 29, Friday and Saturday 5 p.m. – 8 p.m. as well. Do you know a mom who deserves breakfast in bed prepared and served by Matt Prentice this Mother's Day? Is your mom one in a million? Your personal hero? Finds special ways to make you smile when no one else can? Tell what makes your mom - or a friend or loved-one's mom - the best and she could win a special Mothers Day breakfast prepared and served in her home by Matt Prentice. The panel of judges will review each nomination and narrow it down to the entries that move them most. To enter, please fill out the information below by May 1st, 2011, including an essay of 100 words or less explaining why the mom you are nominating deserves Breakfast in Bed Prepared and Served by Matt Prentice, owner of Coach Insignia and the Novi Chophouse. You can also submit a photo of yourself and the mom you are nominating. Mother’s Day is almost here! And for anyone who has yet to find cards to share, I wanted to share a new offering from Hallmark and the U.S. Postal Service designed to help make it much more convenient to connect with the special moms and mom figures in our lives. Did you know that Hallmark sells Postage-Paid Greetings Cards that include a barcode on the envelope that indicates that postage has already been paid?? Well for those of us who seem to always be out of stamps (me!) when it is time to mail important cards, these new postage-paid greeting cards can save a lot of time and energy. Just sign, seal and send! What could be easier than that? I was sent a pack of 5 Postage-Paid Mother's Day Greeting cards for review. As always with Hallmark, the quality of each card is superior. And after reading the cards, I definitely had a particular person in mind for each card. It is like Hallmark can read your mind and say all the things that you may not be able to articulate. There are more than 90 Mother’s Day Postage-Paid Greetings to choose from, including cards for friends, sisters, aunts, grandmas, moms and anyone else who deserves recognition on Mother’s Day. Postage Paid Greetings are available wherever Hallmark Cards are sold. Two FREEISMYLIFE readers will each receive a 5 pack of Hallmark Mother's Day Postage Paid Greeting Cards just in time for the big day. HOLLA to the FREE! - Be sure to tell me who you want to send theses postage paid greeting card to. I will post the best comments on my Facebook page so be creative. 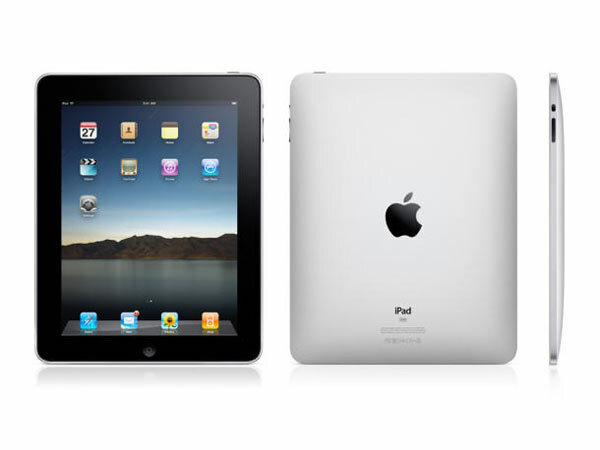 - This giveaway ends on Monday, May 2, 2011 at Noon. - Two winners will be selected in a random drawing. - Prize fulfillment will be provided by Hallmark or their PR company. 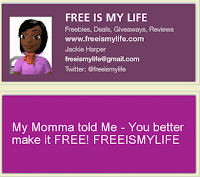 - You can get 1 extra giveaway entry for Tweeting the following message on Twitter "I just entered the @freeismylife giveaway to win Postage Paid Mother's Day greetings from Hallmark http://t.co/xRgsQJE "
Disclosure: I received a complementary 5 pack of Hallmark Postage Paid greetings for the purpose of writing this review and stating my unbiased opinion. I was not compensated for this post. Amtrak is turning 40 this year and to help celebrate, if you book a trip now through May 6, 2011 and travel May 1 through June 9, 2011, your kids will ride free. For forty days, you can let your kids experience for free how Amtrak has changed the way people travel for the last forty years. And before they go, visit the Amtrak Kids Depot, our new website dedicated to our younger riders. It's a great place for your kids to stop in and learn about Amtrak. And while they're getting excited about riding the train, you can be excited about them riding for free. So bring the family and join us for our 40th Anniversary celebration. - Valid for sale April 25 - May 6, 2011. 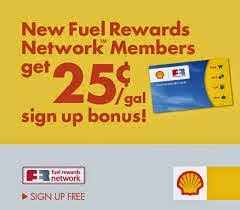 - Valid for travel May 1 - June 9, 2011. - Advance reservations are required a minimum of three days prior to travel. - Valid for one free child's rail fare for children ages 2 - 15 with the purchase of one regular (full) adult rail fare. The free child and adult must travel together at all times. - Seating is limited; seats may not be available on all trains at all times. - Valid for Coach seats only. - Valid on all Amtrak services except the following: Acela Express, Downeaster, Capitol Corridor and 7000 - 8999 thruways. - In addition to the discount restrictions; this offer is also subject to any restrictions, blackouts, and refund rules that apply to the type of fare purchased. - Fares, routes and schedules are subject to change without notice. - Once travel has begun; no changes to the itinerary are permitted. - Not combinable with any other discount offer. From Portugal to the Ukraine, from Norway down to Greece, Europe is a lot to take on. 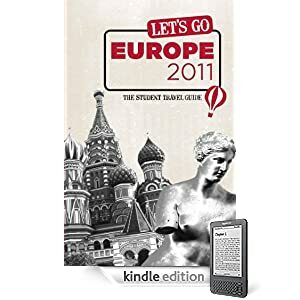 Luckily, the student adventurers behind Let’s Go Europe 2011 know that any traveler can handle it — with a little help. Whether whipping through London, Barcelona, and Prague in five days or spending a leisurely year abroad, travelers get all the info they need from Let's Go. Their wit and irreverence can brighten even the drabbest Renaissance museum — if travelers didn’t take their advice to skip it. From German beer halls to Roman ruins, Let's Go Europe 2011 is the ticket to adventure. As I say with all FREE books on Amazon.com, if you want it get it now as Amazon can raise the price back up the regular price at any time. FREE on Amazon.com does not last long. On Monday, May 2, Bruegger’s new Bloomfield Hills bakery will offer 200 lucky guests the opportunity to enjoy free coffee, tea or soda throughout the month of May. 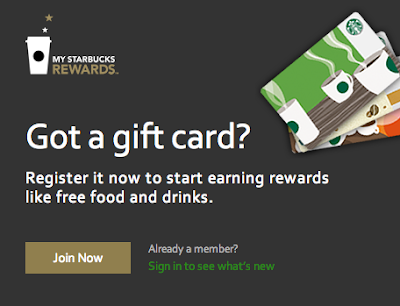 Starting at 7 a.m., the bakery will sell $5.00 Bottomless Mug trial cards - good for unlimited coffee, tea or fountain drinks through the end of May – to the first 200 interested guests. 100 percent of proceeds from each Bottomless Mug Trial Card purchase will benefit Beaumont Children’s Hospital, as part of Bruegger’s ongoing partnership with Children’s Miracle Network. The promotion celebrates Bruegger’s newest bakery in Bloomfield Hills, located at 39568 North Woodward Avenue southeast of Bloomfield Hills Country Club. The bakery, which officially opened on April 4, features indoor seating for 36 guests and Bruegger’s fresh-baked bagels and extensive breakfast and lunch menu. 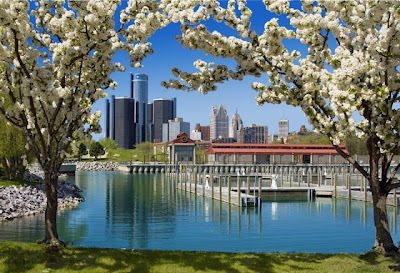 It is the company’s eighth bakery in the state of Michigan. The program is based on Bruegger’s popular Bottomless Mug, sold each fall. Membership in the Bottomless Mug Club offers customers unlimited coffee, tea or fountain drinks throughout the year. In 2010, Bruegger’s donated a portion of proceeds from its Bottomless Mug sales to the Children’s Miracle Network, which includes Beaumont Children’s Hospital. In addition to its Bottomless Mug Trial Card fundraiser, the Bloomfield Hills bakery will host another fundraising event on Tuesday, June 7. Between the hours of 7 a.m. and 10 a.m. the bakery will give away three free bagels to each guest and in return, ask for a donation to Beaumont Children’s Hospital. No coupon is required to redeem the offer and all proceeds will benefit the hospital. 31 cents is as close to FREE as you can get without being FREE! Join the Fifth Annual 31 Cent Scoop Night on April 27, 2011. They will be partnering with the National Fallen Firefighters Foundation (NFFF), paying tribute to America's Firefighters and thanking our loyal customers by lowering the price of Baskin-Robbins scoops to just 31 cents*! The Baskin-Robbins Community Foundation will make a donation to the NFFF. Participating Baskin-Robbins stores will help raise additional funds for local firehouses by inviting fire departments to the event to collect donations. **Plus applicable tax. Limit 3 2.5 oz scoops per person. At participating stores while supplies last. Thanks to Lauren from Mrs. Weber's Neighborhood for this info. Unique and Stylish Wins My Vote Every Time! Let me tell you one of the worst kept secrets on the planet: I LOVE BAGS! Any kind of bags. Handbags. Briefcases. Tote Bags. Shoulder Bags. Saddle Bags. Lunch Bags. Luggage. I love them all. So when I was asked to review a line of luggage and identification tags by a family owned company called YourBagTag™, I was all in. Now when it comes to bags and identification bag tags, I am a hard grader. I want my ID tags to be just as fashionable and just as sturdy as the luggage itself. Well, I am happy to report that YourBagTag™ line of ID tags are very fashionable while also being very well made. So many options that I nearly lost my mind - In a Good Way! The owners of YourBagTag™ are Steve & Rebecca Wilson, who since 2006, have shipped over 15,000 tags to their thousands of customers. They very kindly offered me the option of designing my own luggage tags so I was like a kid in a candy store when I went to their website. But I do have to say that even I was amazed by the number of style options available. I realized that I could choose from hundreds and different combinations to design a really unique tag that would show my personality. I have a standard issue laptop at my job and every employee is given the exact same laptop bag so I wanted a tag that would be professional but make my bag easily identifiable. I choose a black tag with blue block lettering and a polkadot ribbon strap. Now everyone knows to whom this laptop belongs. Since I carry around a lot of equipment for blogging (camera, video recorder, cords, extra memory cards, a battery backup, paper/pen, and a smartphone), my white and gray Golla "blogger bag" is very important to me and I wanted a tag that would be as fashionable as the bag itself. So I choose a silver tag with white script lettering and a stainless steel cable strap. I am totally in love with how it turned out and it goes perfectly with the bag. The stainless steel cable was the perfect choice for attaching the tag to this stylish bag. Sturdy Enough for the Kids Too! There was no way that I could not get my son a tag for his video game bag and I wanted something very very sturdy. So I choose a bright blue tag with while block lettering with a matching blue carabiner to attach it to his bag. It turned out great. It is very child friendly and very fashionable. There was an error with my order (one of my cables was missing) so owner and designer Recebba Wilson surprised me by not only fixing the order by shipping out the missing cable next day (that is great customer service) but by also shipping me another tag which she designed for me. This one I am using on my netbook case. It is sliver with red block lettering and a stainless steel cable strap. I could not have designed it better myself. YourBagTag™ gave me a wonderful experience from top to bottom. All the tags are priced at $12 each and the shipping for my all 3 tags total was only $3.73. I was very impressed by the design options, the craftsmanship of the tags and the awesome customer service. They definitely get an A++ in my book!!! One FREEISMYLIFE reader will win 3 personalized bag tags courtesy of YourBagTag™. A $40 Value. HOLLA to the FREE! - Be sure to tell me why me want to win these very cool luggage tags. Is it because of the cool colors? The many personalization options? The unique attachment options from ribbons to cables? Or just the fact that the options to create a really unique luggage tag are endless? I will post the best reasons on my Facebook page so be creative. 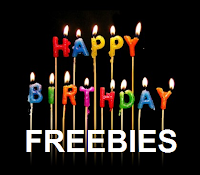 - This giveaway ends on Tuesday, May 3, 2011 at Noon. - You can get 1 extra giveaway entry for following YourBagTag on Facebook. 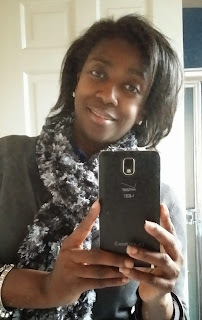 - You can get 1 extra giveaway entry for Tweeting the following message on Twitter "I just entered the @freeismylife giveaway to win $40 in cool @YourBagTag luggage tags http://t.co/psqsftn #YourBagTag". Disclosure: I received complementary personalized luggage tags for the purpose of writing this review. I was compensated for my time to write this review, but all opinions are my own. CONGRATULATIONS TO THE WINNER: KALYN R. OF DETROIT !! !